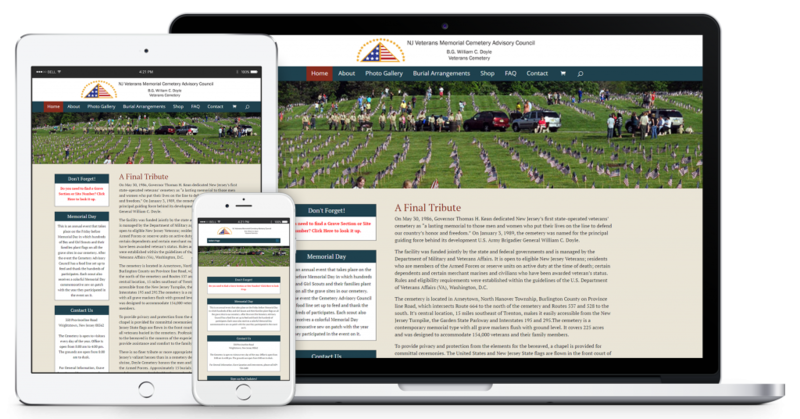 Purpose: The legislature established the New Jersey Veterans’ Memorial Cemetery Advisory Council-Arneytown in the Department of Military and Veterans Affairs. 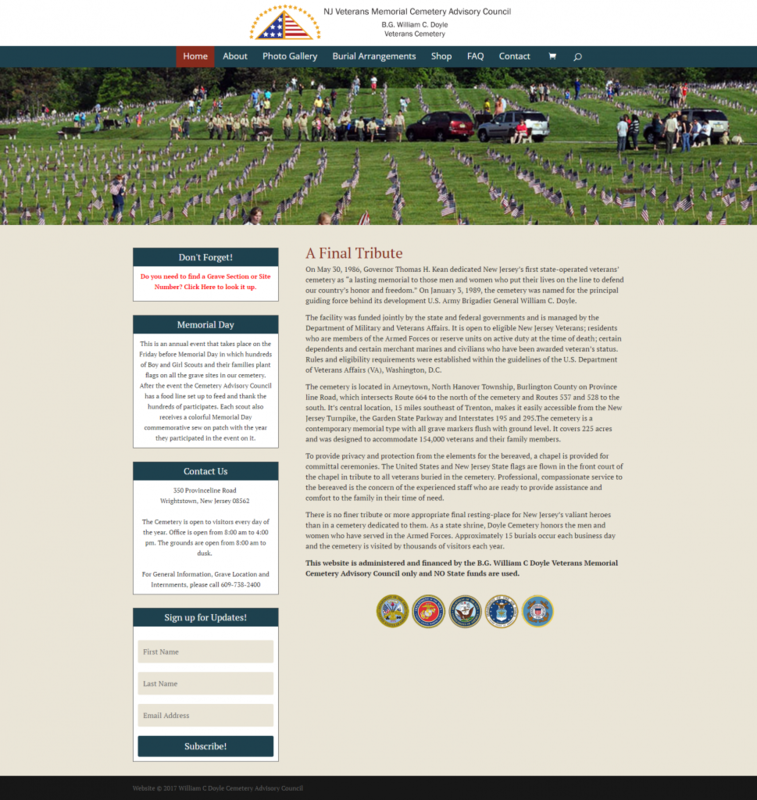 The Council shall recommend standards and procedures for application and determination of eligibility for interment in the veterans cemetery, advise the Adjutant General regarding operating policies and procedures as they apply to veterans’ family members, funeral directors, and the relationship of the veterans cemetery with other veterans facilities. 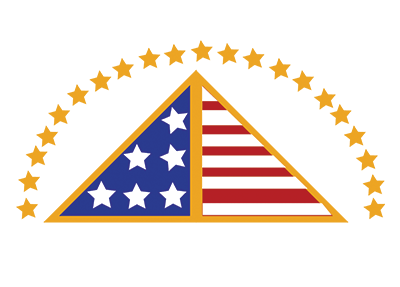 Membership: The Council shall be composed of 7 members appointed by the Adjutant General with the approval of the Governor. All members must be veterans. The adjutant General designates a Chair from among the members. Members serve for terms of 3 years. Vacancies are filled for the un-expired term.